Let it go… Let it go! Do you have little ones who are obsesed with Frozen? how many times have they watched the movie? do they know all the words to the songs? Here is you opportunity to add a little bit of Frozen to their bedroom with this personalised hama bead pattern of Elsa. Once createda and ironed we will add some double sided sticky pads to attach to the door. Altenatively, you could use blutac or small nails… It’s up to you. We hope enjoy as much as our little girl. 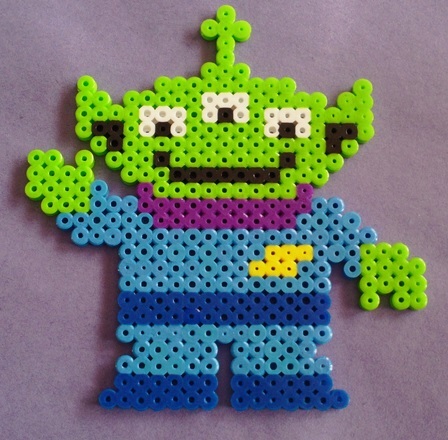 What you require to make a our Elsa door sign out of Hama Beads. 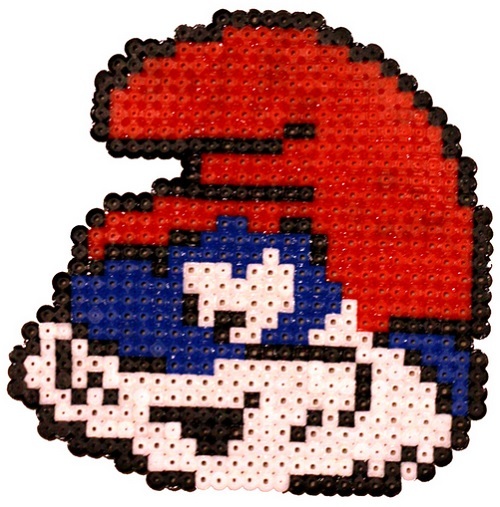 Pegboards – 4 x large interlinking peg boards (Hama Boards #234). Colours required – But here is a list of the colours you will require to make this Elsa Door Sign and the part number of the individual coloured packs. Catch the mouse if you can! Check out one half of the famous cat and mouse cartoon duo, Jerry Mouse. We will get around to doing Tom Cat very soon, but hope you enjoy this. We had orignally intended to do this as a room sign, so feel free to add a name at the bottom. 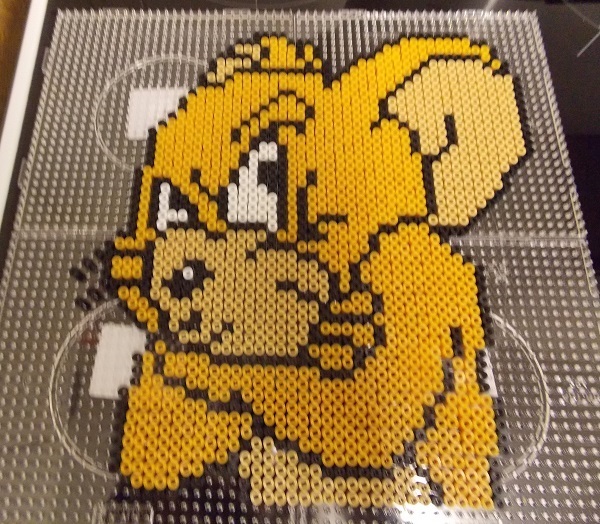 What you require to make a our Jerry Mouse out of Hama Beads. Colours required – But here is a list of the colours you will require to make this Jerry Mouse and the part number of the individual coloured packs. What about a Minion Cube! Hama Bead cubes are great fun and can be used for a number of things including ‘lucky charm boxes’, for keeping jewelry in or perhaps money. 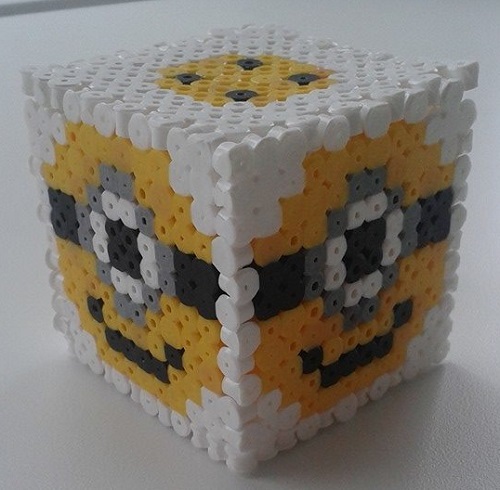 Check out another to cube we have added to our range of patterns – the minion hama bead cube. 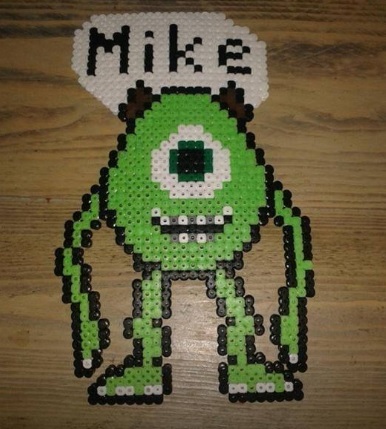 What you require to make a Minion cube out of Hama Beads. Colours required – Here is a list of the colours you will require to make this Minion cube and the part number of the individual coloured packs.